It is hard to give a one fits all description of what digital transformation is, but we define it as the integration of digital technology into all areas of a business that will result in fundamental changes to how your business operates and how it can deliver value to your customers. In a nutshell – Adopt, integrate, automate and interrogate current and new technologies to transform your current business workflows and deliver better results. 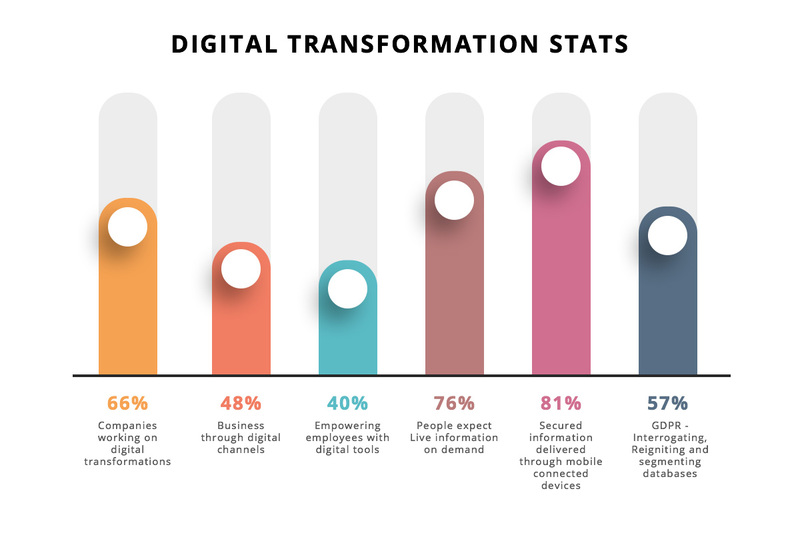 Why is digital transformation so important for 2019? 66% of companies working on digital transformations expect to generate considerably more revenue from their operations. 48% predict that more business will arrive through digital channels. 76% predict people expect information on demand, preferably live. 57% say thanks to GDPR, interrogating, reigniting and segmenting their databases has highlighted they were sitting on potential gold mines. Simplify – Start by reviewing what you do, find where the pain points are in your business processes, think out of the box and be brave enough to disrupt your norm. ‘Think different’ as Steve Jobs would say. Web Apps – Stop thinking websites and start thinking web applications. An app adds value to your users beyond the static brochure web. Integrate real time dynamic content that offers real user engagement and furthermore that captures data and tracks user insights for your business. MVP’s. – Experiment more and often with your digital strategy by creating rapid prototypes and converting them in to ‘minimum viable products’ – then respond to customer feedback and iterate, iterate, iterate. Content Marketing – Digitise all new and existing content – make it evergreen, repurpose it across multiple media types such as video, audio, photography, illustration, infographics and then outreach it through high authority individuals and organisations online channels. Automation – Automate workflows to provide relevant content to inbound enquiries automatically and increase profitability. Social – Use listening and brand mention tools to understand where your brand is getting maximum traction and focus on transforming your presence there. AI Chatbots – Use chatbots and AI to keep your inbound traffic always engaged and get back to them instantly with the help of digitally expert teams, both in-house and outsourced. Video is King – Use video conference to talk with your customers live whenever possible or pre and post record video to answer questions, educate and sell to customers 24/7 – Promote all your videos, the highest consumed content format in 2018. Stop thinking big production and start thinking accessible social video – be in the now – share and engage and witness 400% increase in conversion rates. 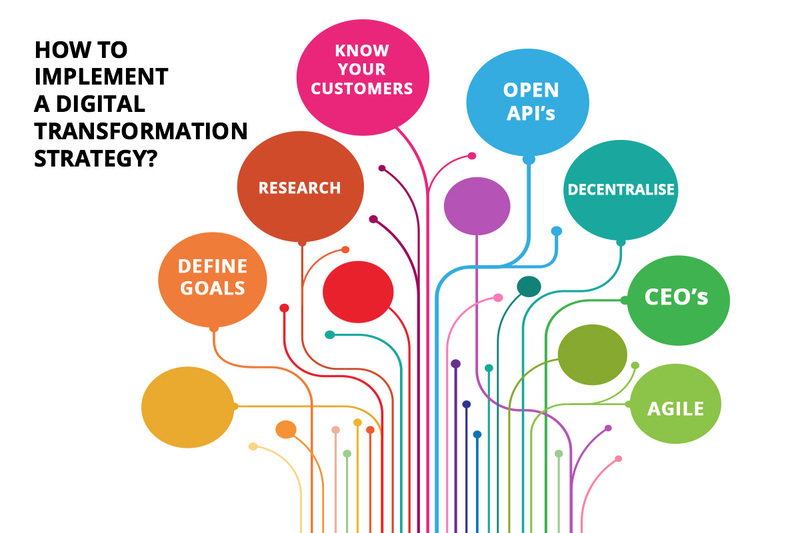 How to implement a digital transformation strategy? Define goals – Determine what your business/brand goals are? Awareness, inbound enquiries, traffic, conversions, sales and more. Know your customers – Setup your customer (buyers) personas and build your growth plans with the digital transformation strategy. Research – Analyse your market and what your competition is doing – Hire a digital agency to do a deep dive and extensive market research. Open API’s – Access your incumbent software partners applications, understand their roadmaps to offer open API’s and a two-way sync. Identify new technology partners that can fulfil your business operational goals, who seamlessly connect and talk together in real time. Your nirvana should always be ‘a single source of truth’. CEO’s – You have to own your business’s digital transformation – no one else can make it happen without your buy-in and 100% commitment. Either recruit talent within or probably better outsource deliverables to a consultant or teams of experts who can help set-up scaleable yet robust best-of-breed solutions that deliver quantifiable results. Agile – Prepare clear short term and long term goals that can be closely monitored and delivered. Achieving lots of small milestones regularly creates incredible traction over time – Scrum and sprint with daily stand-ups. Find out more about Scrum. Decentralise – Let the times move you. Don’t keep doing things the same old way. Embrace technology and realise that the world is already decentralised, so why aren’t you, your team and your company? It’s a new mindset that once realised, you never go back. In fact, you’ll wonder why it took you so long and previously cost you so much to get there. See the light! 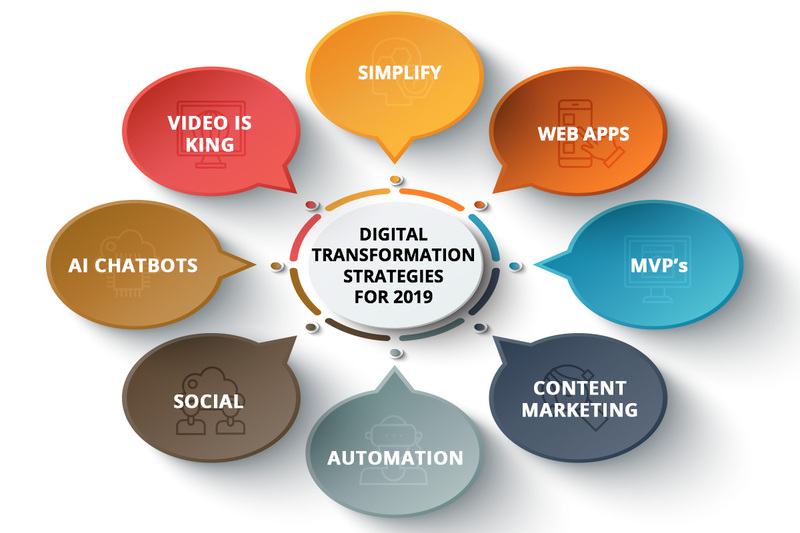 Starberry is focusing its efforts in 2019 to assist new and existing customers with their digital transformation.  With a primary focus on lead generation, Starberry offers a full stack of digital products – Digital strategy, web design and development, apps and digital platforms, through to powerful content marketing strategies and campaigns. Find out more about what we do and contact us to discuss the digital transformation of your business.